I’m so worried! 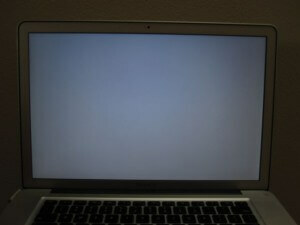 I turned my Macbook on this morning and all it’s showing is a gray Apple screen! I don’t know what I did wrong, it was working last night when I went to sleep! I have a paper to write I really don’t have time for this help me!!!! I understand exactly how you could be frustrated at your Macbook. As good as Apple products are, even they’re not above failing you for innocuous reasons. Given that they cost so much, that’s the last thing anyone wants to read, but it’s the sad truth. Luckily, there are some practical fixes for many of their issues, this one included. -Do you have any peripheral devices plugged in? Mice, Printers, USB Drives,Scanners, anything of the sort? Sometimes the firmware within these devices can go bad and affect the system during startup. If it’s a new device, there’s a chance that the hardware is simply incompatible with your Macbook. I had a Macbook that wouldn’t start up until I removed my mouse from the USB port, then it worked fine. Weird, but true. If you have multiple devices plugged in, unplug them one by one then try to reboot your computer. If the Macbook boots while one of the devices is out, then that device is the issue. Once you turn your computer on, go to the website of the manufacturer and see if you can download an update to fix the compatibility issue. -Attempt a Safe Boot. Boot the Macbook while holding down the Shift button. This will load your Macbook with the minimum amount of drivers and system resources available. If your OS launches, then attempt to reboot. In our experience this simple decision helps the OS load in regular mode more often than you’d think. -If your OS isn’t loading in Safe Boot, try your Disk Utility option to take a look at the quality of your hard drive. 1. Users who are using Snow Leopard OS or earlier should insert the OS disk and boot the computer while holding down C. All other users can turn on their computer while holding down the Command+R button. 3. Pick your hard drive, then click “Verify.” The Disk Utility will then scan your hard drive for any software or sector issues. 4. 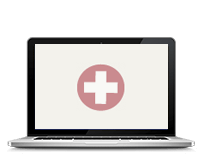 If the Disk Utility detects issues, click “Repair Disk” to attempt to resolve them. If the interface tells you the issues have been repaired, then reboot your computer and see what happens. 5. If your Macbook says it found zero issues, click “Repair Permissions” and let Disk Utility scan your hard drive again. Sometimes errors take more than one scan to be detected. If you have no luck with that, then there is a chance there is a deeper issue with your Macbook. You can try a safe boot, but Sadly, you’ll need to resolve that before you’re able to get back to your reports or any other business you handle on your Macbook!